I’ve been attending church since I was a child. I have never once in my life heard a man pray these words in the assembly. I have, on occasion, heard somebody repeat these words out of mere repetition (Jesus spoke against this in verse 7 just before giving this example prayer). But, I have never heard anybody willingly offer these words up to God in prayer. Why? If I we are honest, most of us will freely admit that we do not want God to forgive us the way we forgive others. Forgiveness is one of the most difficult traits to grow as a child of God. In contrast, unforgiveness is one of the easiest (and certainly most common) sins that children of God commit. Our flesh constantly wars against our spiritual man. The old man is, by nature, unforgiving. Peter once asked Jesus, “Lord, how often shall my brother sin against me, and I forgive him? Up to seven times?” (Matthew 18:21). Jesus answered this by saying, “I do not say to you, up to seven times, but up to seventy times seven” (Matthew 18:22). If we are honest, Peter actually gave more leeway than most of us would. I mean, seven times is a lot to forgive somebody for wronging you, right? This wasn’t one of Peter’s dark moments. By human standards, he was actually going further than most. However, Jesus’ answer was shocking to both Peter and us. There is no time in this short article to go into the parable that followed. But, suffice it to say, there was a servant who was forgiven a debt that was more than he ever could repay. Then, that servant went out and demanded a very reasonable debt from one of his servants. When his servant begged for mercy and time, he refused and threw him in prison. Simply, this parable represents the children of God when we are unforgiving. The Holy Spirit inspired Paul to tell the church at Ephesus, “And be kind to one another, tenderhearted, forgiving one another, even as God in Christ forgave you” (Ephesians 4:32). Clearly, we are to forgive as God has forgiven us. When somebody wrongs us, we should quickly remember how we have wronged God. In contrast to the wicked servant in the parable, the memory of the forgiveness of our great debt of sins should enable us to forgive others in a similar manner. Children of God, can you not remember the effects of God forgiving you of your sins? Do you not remember the gratitude and joy that flowed from your heart? Most certainly, you do remember that. In fact, you most likely thank God for this regularly. Our mission in this world is to show people the love of Jesus Christ in our lives. 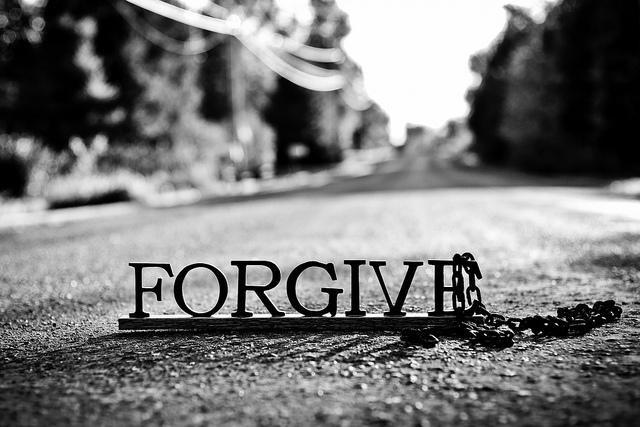 What better way to show the love of God than to forgive others when they least deserve it? Lord, help us to forgive as You have forgiven us! !